The question that nags skiers all year: when to take the big trip to Colorado? The definitive answer can be elusive. Our short answer is that we prefer to ski Colorado in February and into the spring, but there are a multitude of good options all winter in Colorado. Skiers should simply know that the best places to ski in Colorado change throughout the winter. For instance, Steamboat is an excellent option early in the winter for holiday ski trips, as its conditions typically peak much earlier than other spots in Colorado, and it gets more dependable snow early. Telluride, however, sees its conditions typically peak later in the season, which makes it a great spring option. Resorts that are strong in the early winter tend to have low standard deviations when it comes to snowfall (less likely to hit a prolonged drought), have higher averages overall, and possess, usually, a good amount of easy-going terrain (blues) that doesn't require 100" of snow to adequately cover (Crested Butte, for this reason, doesn't qualify). Ski resorts stronger in the spring tend to hold onto the snow they get: they're largely north-facing (shady and cool), and located in higher elevations where temperatures don't hit 45 on an average spring day. These facts known, skiers should plot their trips strategically according to the time of season. Further below, we sort resorts according to their strengths, as we track all of these factors for 220 resorts in North America. Steamboat is a great bet for skiers looking for early season snow and a dependable base for the holiday season. The resort has a history of getting snow open early and its mellow slopes and favorable pitches don't require an over-abundance of snow to be opened. Steamboat's strength in the early season is reflected below. Travelers should consider this when booking a trip to Colorado. 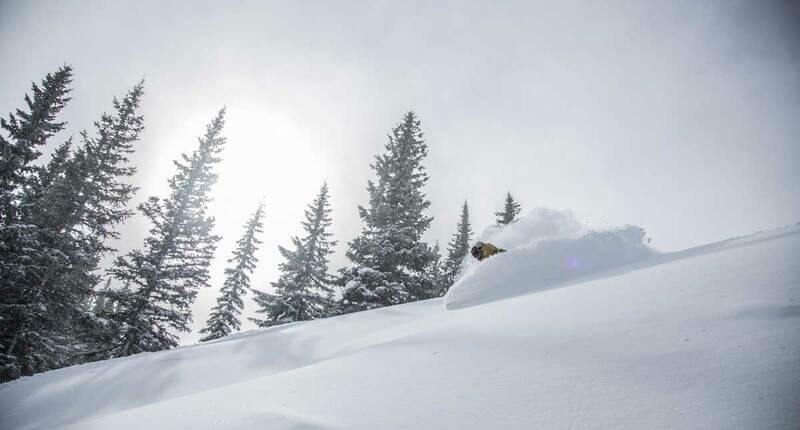 Telluride, like A-Basin and several other resorts in Colorado, grows stronger as the season wears on. This makes it a great bet for late February trips and into March. Vail gets more snow than anywhere else along the immediate I-70 corridor, making it an all-around play for most of the season. It has a good amount of north facing terrain, which keeps conditions good well into the spring. Beaver Creek excels at getting and keeping it slopes open. Being on the west side of Vail Pass ensures it gets good snow totals, and the ski resort has one of the stronger snow profiles in Colorado, making a good bet in the middle and ends of the season. Colorado covers a vast amount of territory and its mountains have disparate characteristics depending on the time of year. There are great bets for just about any time of the skiing season. Skiers waiting to book until the last second can take a laid-back approach to planning, of course, as they will have the benefit of looking at snow totals and weather before they make reservations, but most of us have to book our major vacations out ahead of time. With that in mind, here are some tips to keep in mind when deciding when to visit Colorado to ski. A holiday ski trip can be one of the most rewarding travel experiences when everything goes as planned. Part of that plan, of course, is having great snow to ski on. Some ski resorts are simply better positioned to receive snow early in the year than others. And some ski resorts simply have a knack for getting more open early. That's certainly the case at Steamboat, as well as at Wolf Creek, which have the two strongest records for early skiing at major resorts in Colorado. Vail is a classic destination for the holidays. Courtesy: Vail. Most of Colorado has hit its stride by midwinter, so it can be a great time to visit the stalwarts of the state. Even better if skiers can avoid big weekends such as Presidents' Day. Early February offers great opportunities for slopes without crowds and is our preferred time of year to hit some of the classics of skiing, such the resorts around Aspen and a combo trip to Vail-Beaver Creek. There is still plenty of cold weather during this time, but the daytime temperatures in the sun in Colorado tend to be quite mild by February, but the sun isn't hot enough to make a mess of the slopes yet.